Pictured with Blue Zircon and 14K Yellow Gold, This design speaks to Heirloom asthetic of the early 1900s and has a celtic flair with a play on the trinity knot for the filigree. Pictured with Blue Zircon and 14K Yellow Gold, This design speaks to Heirloom asthetic of the early 1900s and has a celtic flair with a play on the trinity knot for the filigree. Design series inspired by my grandmother, her time spent in the garden, and a ring I remember her wearing. This series is elegant and feminine. 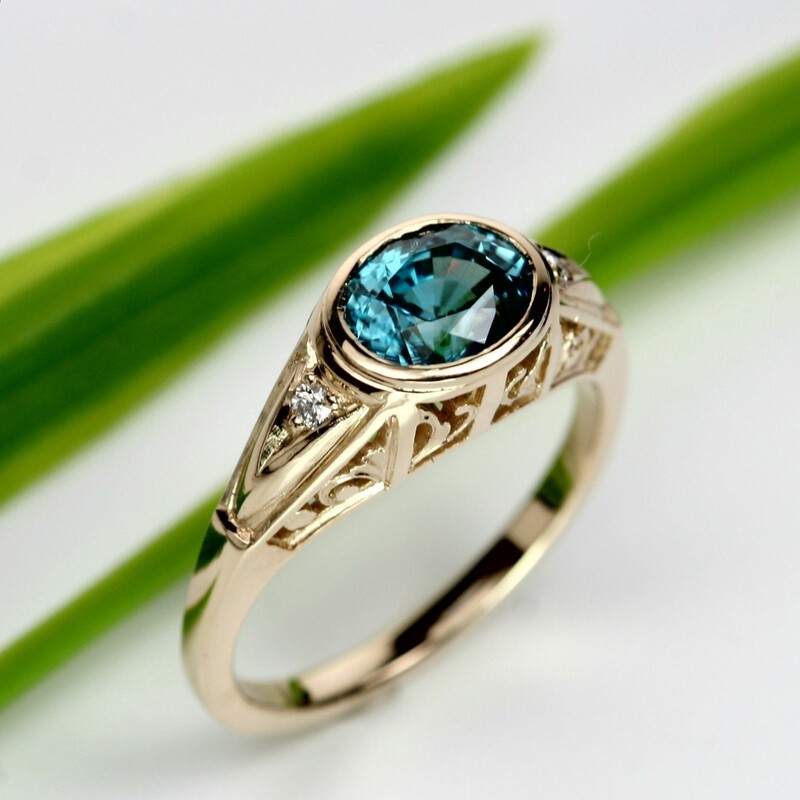 It is a perfect accent to any of your favorite gems and stunning with a diamond. Available with a wide variety of color options.